What's Good: At a walking distance from Jal Mahal and from the normal din and bustle of the city, it is a nice place to stay. Hotel with fresh looks and a nice, neat, small front-office. We liked the hotel. Only very basic food (Dal-Chawal or only a single Paneer preparation) was available. They have to start a full-fledged good restaurant facility. Staff was courteous. 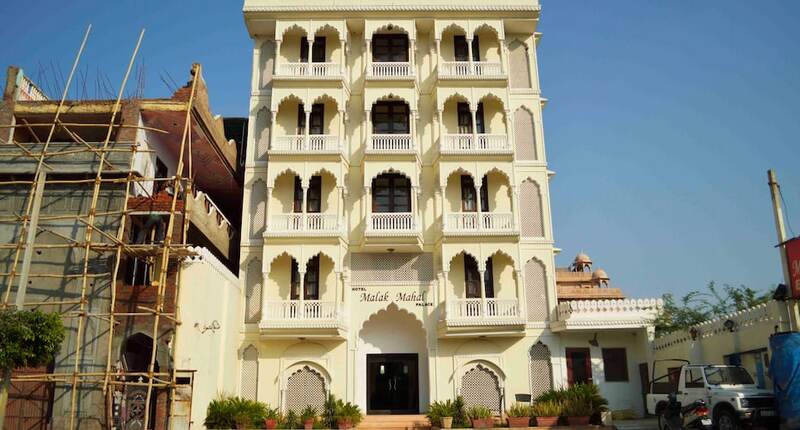 Hotel location is very good near jal mahal but not facing jal mahal, we had booked this hotel in december 2018 it was very chilling weather but the rooms in hotel are very bad, they dont provide heater, very very bad bedsheets, dirty towels, kitchen is pathetic, only looks good from outside, but inside is very scary, very very poor lights, exprience was very bad. need to improve alot, parking available, service is also very bad, every guy expects tip without giving proper service. We stayed in this hotel for one day. There was no staff in this hotel to take your luggage. In room there is small tv which was not working. Bathroom was in a worst condition and smells bad. There was a party hall near the hotel and till 12 we cant sleep. In morning while we check out the hotel there was no staff to take our luggage out. There was only one staff near the reception but he told us that he will not take our luggage out. So we got a bad experience in this hotel so it's better to search another hotel. We had booked this hotel as part of makemytrip package. The hotel though is at very good location, is not well maintained. The restaurant in the hotel has no proper lighting or electricity. The food was also bad. The room was average and washrooms are not well maintained. Third floor doesn't get any wifi. Take the upper floors for a sunny room! !